When you have a unique luxury property to sell, you need more than the typical "For Sale" sign to attract the right buyers. 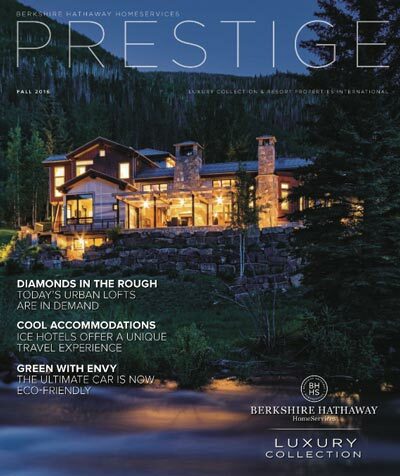 The exclusive Berkshire Hathaway HomeServices Luxury Collection program gives your propery superior exposure, both locally and globally. Our select team of Luxury Collection Specialists utilize an elite relationship network along with modern, effective tools to bring together buyers and sellers of luxury property. They combine local expertise with vast global connections, the most advanced technology available and unparalleled marketing resources to deliver our clients best-in-class results. They have consistently earned their clients' respect through a comprehensive understanding of how to reach affluent buyers. Contact one of our Luxury Collection Specialists to start creating a marketing plan for your one-of-a-kind property.